Known for their really fresh seafood, classic california cuisine and family hospitality. 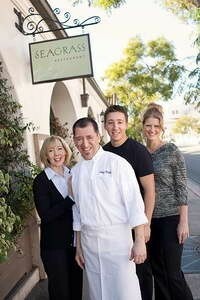 Seagrass offers a fresh Santa Barbara Coastal Cuisine fine dining experience. They believe our 'coastal' living experience is deserving of celebration. We care deeply about procuring the highest quality ingredients available and are fortunate to have access to superior local bounty. Sonoma Lamb, Farmers Market produce and Santa Barbara Spiny Lobster are just a few of the treasures that make their 'coastal cuisine' special. The food here is fresh and delicious. Good flavors and excellent wine selection.